Embarazada. Ohhh how much you look like “embarrassed”, embarazada. Any English-speaker would look at that word and immediately, and for obvious and perfectly logical reasons, guess that it means “embarrassed”. Most times if a Spanish word looks very similar to an English word that you know, it does, in fact, mean either precisely the same thing as that word or something very similar! Examples abound: alfabeto (alphabet), gracia (grace), huracán (hurricane), chocolate (chocolate), adorar (to adore), dividir (to divide), and on and on and on. fellow Spanish-speakers for centuries to come at the expense of hapless English-speakers attempting to learn their language. You have no idea how entertaining it is for native Spanish-speakers to hear a middle-aged white guy from Texas say “¡Oy! ¡Estoy tan embarazado!” Really??! Well…congratulations! When are you due? 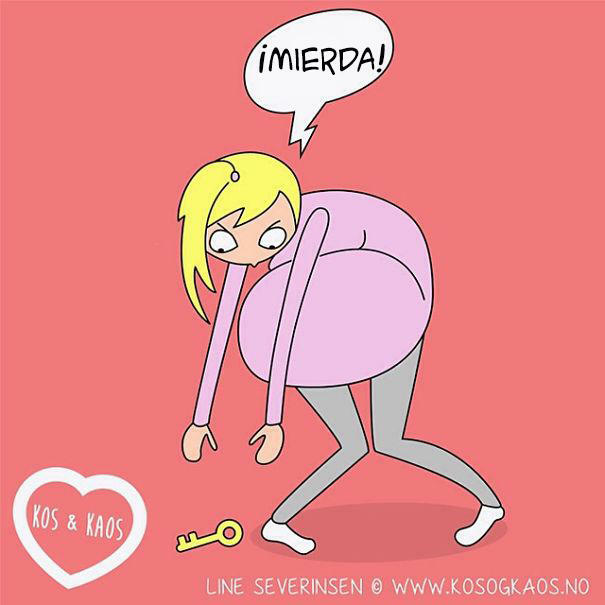 Embarazada (normally only ever embarazada for reasons that will be obvious to you in a second) means…pregnant! Hey, now you’ve definitely got something to be embarrassed about! That concludes our short Spanish lesson for today, I hope this prevents you from ever accidentally telling someone that you’re going to give birth, and that it leads to endless amusement for you when other English-speakers do! Also… If you thought the above was at all useful and you want to learn (or are learning) Spanish, please give me a chance and read what I have to say about my book below! Thank you so much for checking out my blog and I hope you’ve enjoyed my writing. Linear vs. Global Learning - What's Your Style?